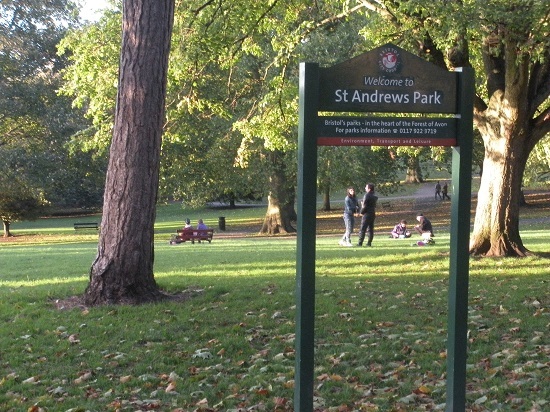 FRIENDS of St Andrews Park have dismissed claims that they plan to ban dogs from the park, after issues were raised by a committee member about the extent of dog pooh in the area. A number of dog walkers expressed concerns after reading the views published by a committee member on the FOSAP blog, which suggested that more control of dogs was needed in the park, as they caused damage to the flower meadows, and owners failed to clear up dog faeces. According to the group, the member's opinion on dog control - posted on the blog prior to a FOSAP meeting - was "distorted", with fake posters being displayed around the park, saying that banning dogs was a proposal to be discussed at the meeting. John Mayne, from FOSAP, said: "There was some confusion about banning dogs from areas of the park, other than the children’s play area where they are already banned. "It is not our policy to ban dogs outside the play area and not our policy to try to get them on put on leads. "We would like to have better relations in future with dog owners who use the park and also hope to have a new position of dog walkers’ representative on the committee." One committee member has been monitoring the incidence of faeces over six months and has noted 105 examples, including faeces that is smeared and not fully cleared up. Many speakers who attended the meeting in September expressed that the majority of dog walkers are responsible and pick up their dog’s faeces - and even that of other dogs. One dog walker suggested that FOSAP members, of which only one owns a dog, should be more understanding of dog behaviour and have a more "positive attitude" to dog walkers. Redland councillor Fi Hance has confirmed that dog pooh is a problem, and has suggested that it would be useful to hold a separate meeting on the issue of dog control, which will include the council, dog walkers, FOSAP, and the dog warden. She suggested at the meeting that there are a number of practical measures which could improve the situation, such as changes to the fencing around the dog free area.